In 1979, living in Edinburgh, Scotland, I set out to write the story of the Beat Generation and its descendants. I had published only a little—a few poems and articles in literary magazines—but my projected book had a grand scheme. It would be divided into two parts: the first would describe the Westward trail blazed by Jack Kerouac and his mildly criminal gang in the late 1940s, while the other would trace the journey to the East made by the proliferating Beat children—hippies, heads, freaks—in the 1960s and 70s. I was among them, and therefore felt entitled to say "I am the man, I was" etc. The book would be called "Going West, Going East". I had thumbed my way across half the world, but had not yet set foot in the United States, so, in Edinburgh University Library, I studied maps to find the best way out of Queens, New York, where Kerouac waved goodbye to his mother on his first trip to Denver in July, 1947; filleted old newspapers for current events (was there any significance in the fact that both Henry Ford and Al Capone died that year? ); and tried to see the bestseller list as Kerouac the would-be novelist might have seen it. The book people were talking about The Plague by Albert Camus, a carefully crafted political allegory, not his sort of thing at all. After a faltering start, Kerouac got on the road. I traveled with him all the way across a quire of foolscap before running out of steam. Much later, in December 1994, in London, I interviewed Allen Ginsberg for a newspaper. Ginsberg was promoting his new collection of poems, Cosmopolitan Greetings, and we met in the deserted bar of a hotel just a few doors from the house in which Henry James had lived at the turn of the century. Ginsberg came shuffling across the floor of the lobby towards me, dressed in a suit, well-pressed blue shirt, and tie. I have always enjoyed such reversals of the popular image (Kerouac and Burroughs were also unlike many of the inventions imposed on them). The thing that impressed me most about Ginsberg had nothing to do with political subversiveness or beatness; it was his ability to memorize great chunks of English and American verse of every era. He talked more or less uninterruptedly for two hours, managing to seem self-effacing, even modest, all the while. When I asked if I might take his photograph, he composed his arms and legs and smiled ingenuously, as if for a family snap, then offered to take mine. He passed on a tip Robert Frank had given him on how to pose a sitter (keep the hands in check). Then he decorated my copy of Cosmopolitan Greetings with a drawing of a stern-looking Buddha floating above a skull with flower in its mouth. That evening, Ginsberg gave a reading at St James's Church, Piccadilly, where William Blake was baptized. He was exuberant and spontaneous, yet had everything under control. I learned later that his assistants would provide the organizers of every reading with a list of stipulations ("Plain chair with flat seat, not cushioned, not contoured. . . . Premixed chamomile tea in pot or thermos. . . . Modest vase of flowers—preferably wild flowers in season. . . . Payment is due when services have been rendered . . . "). We went home full of Allen Ginsberg, daring anyone to say a word against him. I was less than happy with the chapter on the Beats in Exiled in Paris, but it was through them that I came closest to weaving my two strands together. I concocted an imaginary scene in which an earlier resident of the Hotel Rachou, the black novelist Chester Himes, smart-suited, knife-carrying, as cool as life is short, met Allen Ginsberg, boyish, drug-taking, sophomorically hip, in the lobby. I called the chapter "Black and White Negroes", finished the book, and prepared to move on. But to what? After meeting Ginsberg, I began to see this slightly unsatisfactory chapter as the foundation for another story. Exiled in Paris had itself been shaped from a rib taken from an earlier book, Talking at the Gates: A Life of James Baldwin (1991), which contains a lengthy section on Baldwin's life in Paris in the 1950s. 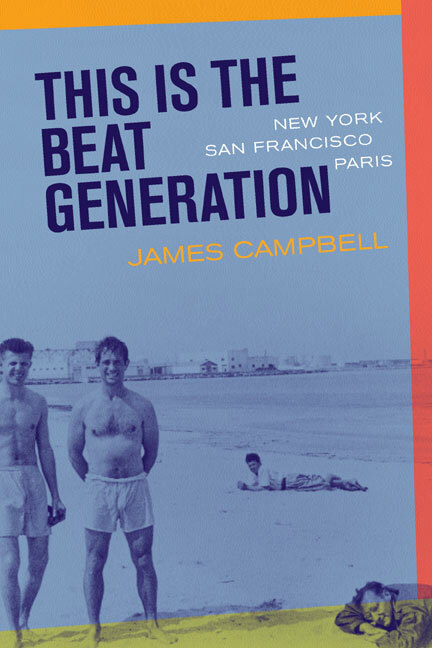 Now, a fragment of the Paris book provided the bones for This Is the Beat Generation. The word "trilogy" sounds too grandiose, but I think of the three of them as a family. During one of my research trips to New York, I rang up Ginsberg to ask for his cooperation (I had written in advance). He was friendly but wary, and—more than anything—weary. He said he might—he emphasized might—have some time at the weekend. The next day, I tried to ring Gregory Corso. He was out. He had just gone out. He was expected back in an hour's time, or an hour ago, or at some hour in the unforeseeable future. Over on the West Coast, Michael McClure was similarly elusive, while the editor of a seminal Beat magazine agreed at first to meet me, then changed his mind when I declined to provide a list of questions from which there would be no deviation. I couldn't blame them. They had been interviewed far too many times already. And so I decided to dispense with interviews. In any case, "personal testimony", like the tape recorder itself, can be a false friend. It is frequently unreliable. One person I had thought of interviewing in New York was Diana Trilling, the wife of Lionel and the author of "The Other Night at Columbia", a lively account of a reading given by Ginsberg, Corso and Orlovsky at the University in 1959. Later, I read her memoir, which contains anecdotes about Ginsberg visiting the Trillings' apartment on Riverside Drive, and found her portrait of him to be bedeviled by misunderstanding of his aims and motives. Had she been gracious enough to agree to be interviewed, I might have included her misplaced emphases in my version of Ginsberg's relationship with the Trillings, simply because "this is how she says it was". I had discovered while writing both Talking at the Gates and Exiled in Paris that people involved in any literary history often have a piece of property for hire, the price of which is that you believe their version and not someone else's. Freed from the entrapping spools of the cassette tape, I concentrated on reading the books, ferreting out letters and other personal scraps of paper (the most precious of research materials), sifting through contemporary newspapers, tracking down a ton of weird and wonderful magazine articles spawned by "beatnik", the kitschification of Beat, and walking up and down the avenues of New York and the hills of San Francisco, imaginatively superimposing old landscapes, old styles of talk, old ways of seeing the world, on to the streets of today. This account of the Beat Generation—for which the working title was "Going West, Going East"—begins in 1944, with the coming together of the three principal characters, and ends around 1960-61, with the publication of Burroughs' cut-up books and Ginsberg's travels to the East. These events seemed to me to mark the end of the "beat" part of the story. Jack Kerouac never resolved the troubles which beset him from the mid-1950s onwards, and which are described here; he died in front of a television set, a year and a half after the death of his muse and driver, Neal Cassady. Ginsberg and Burroughs continued their remarkable exploratory careers, remained devoted friends, and died, a few months apart, in 1997. Burroughs's early partner in crime, Herbert Huncke, had expired the previous year. Many others who were associated with the Kerouac-Ginsberg-Burroughs troika, and who feature in this book, continue to thrive. As always, my major debt is to Vera Chalidze for consistent help and advice. I wish also to thank Carolyn Cassady, Tom Clark, Paul Duguid, the late Allen Ginsberg, Michael Greenberg, Wendy Lesser and the Threepenny Review, where a portion of this book first appeared in different form, Antony Harwood, Gerald Mangan, Geoffrey Mulligan, Andrew O'Hagan, Kevin Ring and Beat Scene, the late Leopold and Bobby Ullstein, Lotte Lundell for hospitality in San Francisco, and Roger Rosen, Avery Russell and Rima Shore for the same in New York. I am also grateful to Steve Mandeville-Gamble of the Department of Special Collections at Stanford University, and to the staff of the Berg Collection, New York Public Library, and the Butler Library, Columbia University. Many books have been used in the writing of this one. For basic information, I could not have done without Ginsberg: A biography, by Barry Miles; Memory Babe: A critical biography, by Gerald Nicosia; Literary Outlaw: The life and times of William S. Burroughs, by Ted Morgan. I also wish to make grateful mention of Ann Charters's edition of Kerouac's Selected Letters, and Oliver Harris's volume of Burroughs's letters. During his brief career in the Navy, Jack Kerouac was regarded as a 'case'. He went to the doctor with headaches, which excused him from dull chores. He let it be known that he was writing a novel, which he liberally compared—though he had published scarcely a word in his life—to hefty American classics. He got drunk easily, often rowdily, sometimes maliciously. But his worst characteristic by far, where the Navy was concerned, was his unresponsiveness to discipline. This by itself was enough, in wartime, to have a serviceman labelled unsound of mind, paranoid, hysterical, phobic, catatonic, melancholy, monomaniacal, suicidal, or one of the other psychiatric diagnoses by which the military explained a person's failure to click his heels and snap to attention at the bark of authority. Kerouac had no talent for authority. He was touched, almost gifted, by one of its opposites: the wanderlust. He had already made a few tightly structured journeys by road before he joined the Merchant Marine, in 1942, and then, as the war intensified, signed up for the Naval Air Force V-12 officer-training programme. But they were single-sentence journeys, usually made alone, and by Greyhound bus, hesitant with pauses, never far away from the security of the full stop: his home in Massachusetts, his mother's love and stove. As he made his way back by the same route, the same bus (a car accident in 1940 put him off driving for life), he tidied up his wandering with no notion that it could be extended to fill a page, far less a book. It was the sea, not the road, that first inspired him to shape his travelling into a story. When he went to sea, the vastness and unexpected alienation that came off it, day after day—days of dreary expectation of more of the same—led to the conception of Melvillean scope (everything Kerouac attempted in writing, even then, was overseen by a giant literary guardian) called 'The Sea Is My Brother'. That was the exciting part of life at sea: planning his book, naming it, comparing it to its ancestors, telling his friends back home all about it in letters; everything else, including the sea itself, was grim and grey. In the military mind, indiscipline shaded into mental imbalance; it was also a quick exit from the Navy. So Kerouac began putting it on. He insisted on calling the Navy dentist—an officer in a white coat—'doc', when 'sir' was obligatory. Smoking was forbidden before breakfast—so Kerouac smoked. When the commanding officer whipped the cigarette from his mouth, Kerouac stood up and punched him. All that was bad enough. But the unforgivable insubordination was against the integrity of the squadron. One morning, during close-order drill, Kerouac simply laid down his rifle and walked off. This was inexplicable, and the recruit was placed under observation in the mental wing of the Navy hospital. Asked for his name and rank, he replied: 'I'm only old Samuel Johnson.' The doctors took notes and made reports, and soon Kerouac was happily relaying to his friends the news that he had been diagnosed as someone subject to 'bizarre behavior'. The second fastest escape route from the Navy was homosexuality (or 'ambisexuality', to describe the so-so), and here, too, Kerouac worked to fortify the doctors' suspicions. He might not be crazy, but he could be 'fruit'. Under examination, he shook his head when asked about girls—no, he wasn't in love with anyone. Would he like to get married? No, not at all. He mentioned some encounters with loose women, but was careful, he told a friend from his home town of Lowell, to add 'the crowning glory of being more closely attached to my male friends'. The boy-gang was more important, spiritually and emotionally, than any individual girl could ever be. It was all an act, and—he was not quite aware of this yet—it was all true. Beginning in New York in 1944, James Campbell finds the leading members of what was to become the Beat Generation in the shadows of madness and criminality. Jack Kerouac, Allen Ginsberg, and William Burroughs had each seen the insides of a mental hospital and a prison by the age of thirty. A few months after they met, another member of their circle committed a murder that involved Kerouac and Burroughs as material witnesses. This book charts the transformation of these experiences into literature, and a literary movement that spread across the globe. From "The First Cut-Up"--the murder in New York in 1944--we end up in Paris in 1960 with William Burroughs at the Beat Hotel, experimenting with the technique that made him notorious, what Campbell calls "The Final Cut-Up." In between, we move to San Francisco, where Ginsberg gave the first public reading of Howl. We discover Burroughs in Mexico City and Tangiers; the French background to the Beats; the Buddhist influence on Kerouac, Gary Snyder, and others; the "Muses" Herbert Huncke and Neal Cassady; the tortuous history of On the Road; and the black ancestry of the white hipster. James Campbell is the author of Exiled in Paris: Richard Wright, James Baldwin, Samuel Beckett and Others on the Left Bank(1995), Talking at the Gates: A Life of James Baldwin (1991), and Invisible Country: A Journey through Scotland (1984). He works for the Times Literary Supplement.